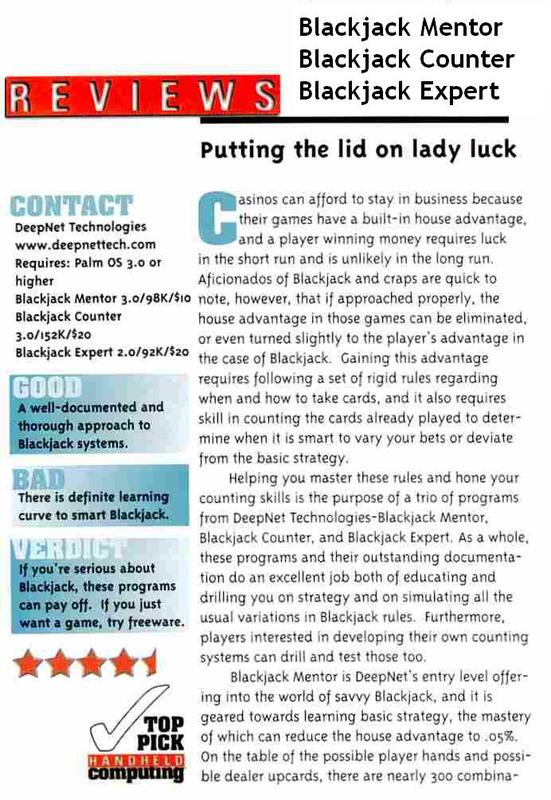 Handheld Computing Magazine reviewed our complete Blackjack product line for Palm OS. We were awarded a 'Top Pick' award and received a 4.5 out of 5 rating. Included below is the full review as published in issue 5.1.